40" arc with a 17" long shank that teloscopes. 2 7/8" x 1 1/4" diameter plastic handle. 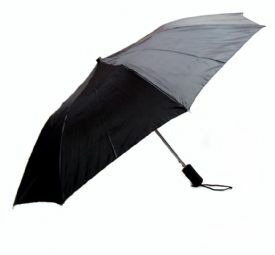 These folding umbrellas come only in Black. Collapses down to 15 1/4" long. Category : Gift For Lady Misc. Category : Gift For Man Misc.